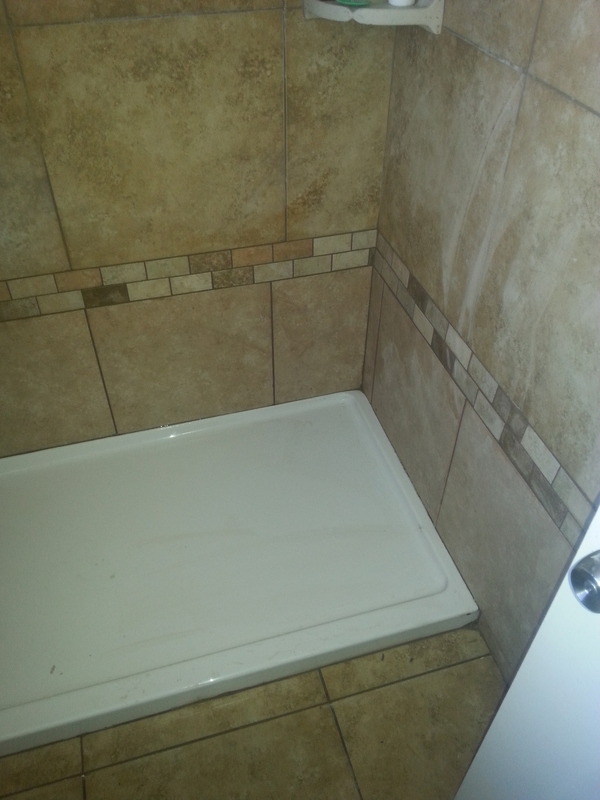 When you have a cracked shower pan the best thing to do is to replace the pan and the surround, but sometimes that is not an option. In this case, the property owner only wanted only the cracked pan replaced. Sometimes, you can’t find the same tile and you must improvise and get creative. Pictured below is a creative way that similar tiles were used and blended in with a mosaic strip. You can clearly see that the tiles are off color, and a different size when you look. Unfortunately, the owner didn’t want to do a full-on new surround. They were happy nonetheless to have a new functioning shower pan that didn’t leak.